Get PRO results with the CableMod PRO ModMesh 6-pin PCI-e Extension. 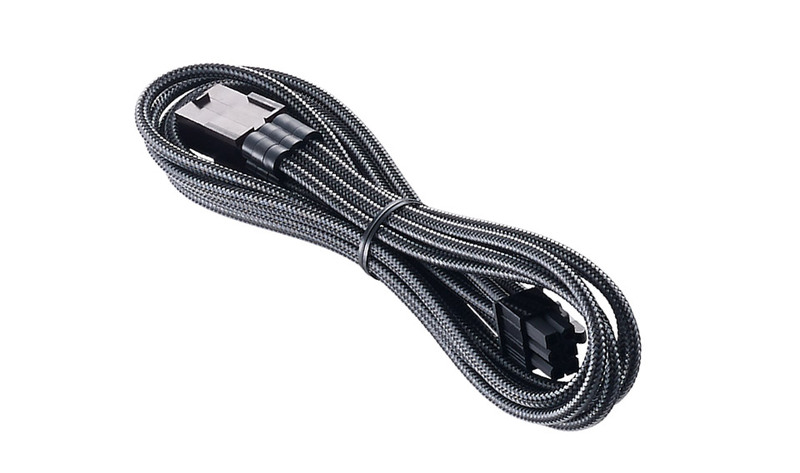 These cable extensions work with your power supply's existing PCI-e cables, and are the easiest way to give your system that professionally sleeved look. CableMod PRO Series extension cables utilise a new and improved thicker wire, reducing the gap between each individual wire for a fuller, more robust appearance. The colour pattern has also been revamped by the community, and to tie the entire look together, come with closed cable combs pre-installed. Each wire is individually wrapped in CableMod's famous ModMesh sleeving for vivid colour and enhanced durability. 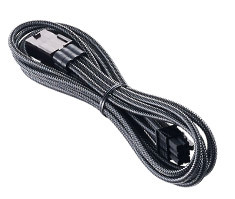 Each cable is 100% heatshrink-free for the cleanest possible look, and precision moulded connectors ensure a secure and proper fit.